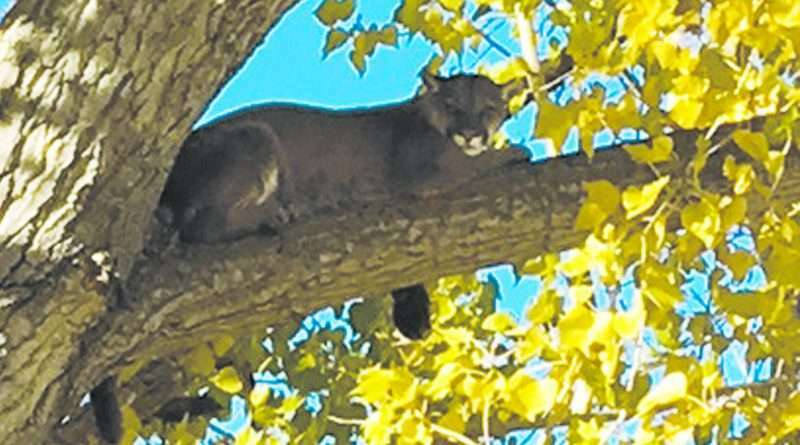 There are two reasons mountain lions can be removed in Lassen County, according to California Department of Fish and Wildlife environmental scientist Brian Ehler — a depredation occurred or public safety was threatened. During the Nov. 14 Lassen County Board of Supervisors meeting, Ehler gave a presentation regarding mountain lions and the big cat seen by residents in late October. 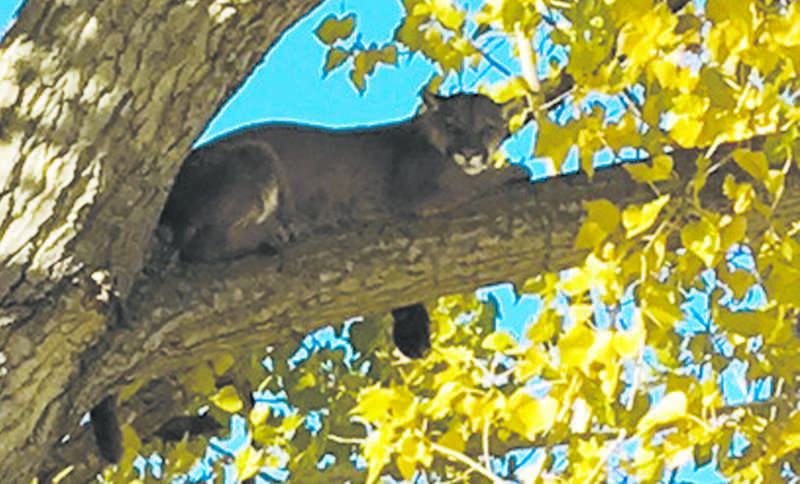 Near Diamond Mountain Golf Course in late October, numerous people reported the mountain lion, which was ultimately treed. Byron Hernandez, game warden, responded soon after and determined the animal was not an imminent safety threat, Lt. Kyle Kroll, game warden supervisor, reported. The crowd was dispersed and Hernandez remained at the location until dark, at which time the animal left the tree and was strongly encouraged to leave the area by Hernandez through the use of hazing, according to an earlier article in the Lassen County Times. However, according to Ehler, when determining if a big cat is a threat to public safety, those investigating must take into account a totality of circumstances. “It’s a very challenging issue because what the public perceives to be a threat to their safety is not necessarily what the department views is a threat to their safety,” Ehler commented. Supervisor Chris Gallagher expressed his concern with the handling of the local matter, adding he believed the mountain lion should’ve been taken since it was lurking around a heavily used place such as a golf course. Additionally, according to Ehler, people haven’t really hunted mountain lions since 1972, not in 1990 when Proposition 117, passed in California, which prohibited killing mountain lions unless for the protection of life, livestock or other property, when speaking about taking mountain lions. However, he did note an uptick in statewide depredations. “It does seem like we’re having slightly more incidents of mountain lion depredation through time since 2000,” Ehler said. However, when a depredation occurs, CDFW gives a permit to those affected allowing the taking of a lion. About half of all the permits issued result in a killed mountain lion. The discrepancy, Ehler elaborated, stems from a number of factors contributing to it. If a dog can’t trail the lion, or if the lion moves too far away, since they can only trail one for about a mile, about half of the mountain lions get away. A mountain lion’s home range, Ehler noted, is about 75 to 100 square miles for a male, and between 25 to 50 square miles for a female. The matter was information only; however, board chairman Aaron Albaugh invited Ehler back in a couple months to provide any updates.